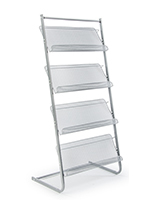 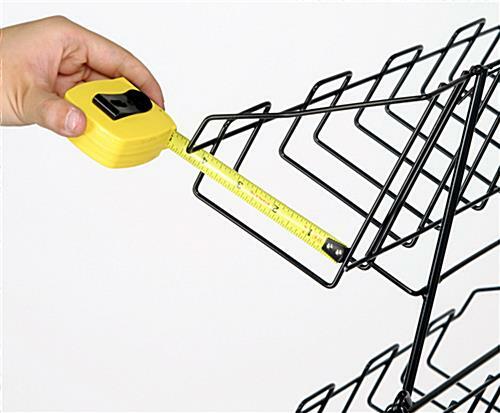 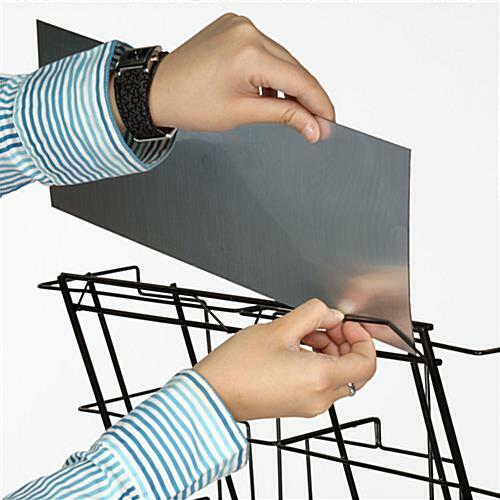 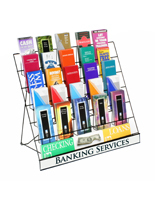 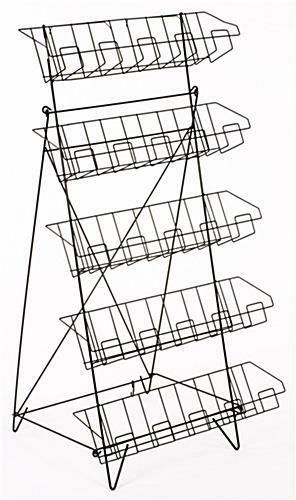 This wire leaflet stand is capable of presenting printed materials of various widths on the tiers. 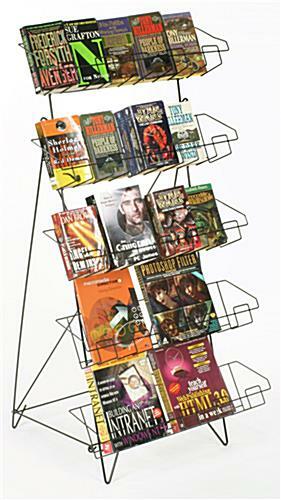 The literature display has a black finished metal construction that is fashionable and durable. 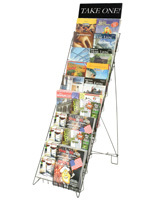 A leaflet stand for store and tradeshow floors, also called a brochure rack, offers five levels to sort the books and magazines. 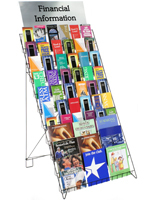 Each literature display comes with clips for advertising custom signage. 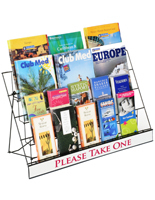 Every stand features a collapsible design for convenient stowing when not in use. 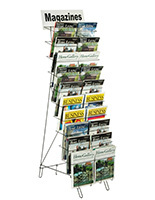 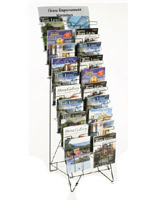 Add the brochure rack to a retail or tradeshow advertising campaign to boost product and service awareness.